U.S. Secretary of State Michael R. Pompeo travels to Singapore, August 3-4, to attend the 51st ASEAN Foreign Ministers’ Meeting, as well as East Asia Summit and ASEAN Regional Forum (ARF). Jane Nishida, U.S. Environmental Protection Agency Principal Deputy Assistant Administrator for International and Tribal Affairs, shared U.S. solutions during the Water Leaders Summit panel on “Recycling and Reusing Water Endlessly.” She also met with Singaporean officials during Singapore International Water Week (SIWW) to advance U.S. environmental cooperation with Singapore under the 2018-2019 Plan of Action on Environmental Cooperation. U.S. Embassy Singapore remains open for consular services, including American Citizen Services and visas. 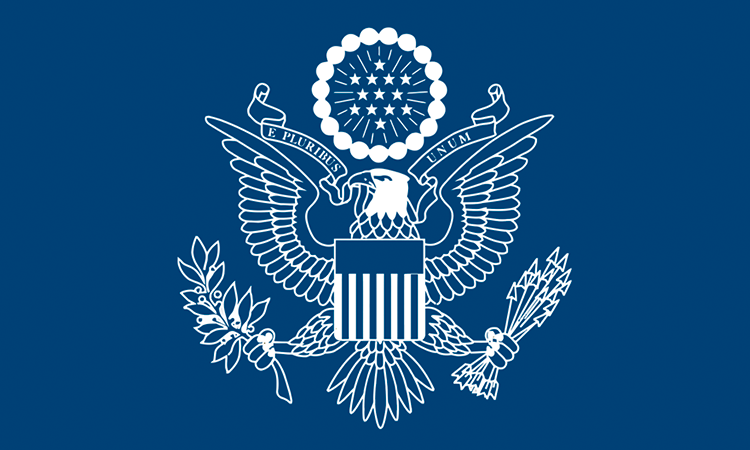 During the lapse in U.S. government appropriations, U.S. Embassy Singapore remains open for consular services, including American Citizen Services and visas. Questions? Contact singaporecon@state.gov or singaporeACS@state.gov January 23, 2018 Update: The lapse in U.S. Government appropriations has ended. See the Department of State’s travel website for the Worldwide Caution , Travel Warnings, Travel Alerts, and Country Specific Information . June 2, 2017: Joint Chief of Staff General Dunford was conferred the Distinguished Service Order (Military) by President Dr Tony Tan in recognition of his outstanding contributions in enhancing the defense relations between the United States Armed Forces and the Singapore Armed Forces. February 13, 2017: MSNBC news anchor Richard Lui was in Singapore recently to speak about the latest media trends with university students. At a fireside chat hosted by American Chamber of Singapore, he also engaged industry professionals in a lively, robust discussion on current challenges for international media. Assistant Secretary of State Danny Russel, the top U.S. diplomat for the East Asia and Pacific region, stopped in Singapore on December 21, 2016. During his visit, Assistant Secretary Russel met with Foreign Minister Vivian Balakrishnan, academic and business leaders, and Singapore-based journalists to discuss the U.S. commitment to Asia. October 13, 2016: Ambassador Wagar moderated a post-show talk after local Singaporean theater company Pangdemonium staged a production of the American musical Rent, featuring a cast of Singaporeans, Malaysians, and one American cast member. The assembled audience was visibly engaged in the conversation and the meaningful issues raised during the talk. Singapore Foreign Minister Vivian Balakrishnan and his wife Joy met with President Barack Obama and First Lady Michelle Obama at a United Nations General Assembly reception on September 21, 2016. Did you know that PM Lee Hsien Loong and The White House took over each other’s Instagrams? In case you missed it, as well as the White House Snapchats, check out our photo album for more behind-the-scenes footage of the official visit and State Dinner. Catch a sneak peek at what Singapore Prime Minister Lee Hsien Loong and his wife Ho Ching can expect at The White House State Dinner tonight. On June 30, U.S. Embassy Singapore celebrated the 240th Anniversary of the Independence of the United States. More than 2,000 guests of American and Singapore business, military, diplomatic corps and cultural community. Guest of Honor was the Minister for Trade and Industry Lim Hng Kiang. Grace Sai, CEO and co-founder of the Hub Singapore, is one of seven participants heading to Silicon Valley for the 2016 Global Entrepreneurship Summit (GES). Check out her story in this video .